Playmobil case : MARCELA MORAGA M.
Between the years 1999 and 2003 I was developing different projects about the playmobil toy. It was interesting for me the playmobil pictures that you find on the catalogs or on the boxes of the product. Those pictures are for me like stages, the figures appear between blue skies, water of gelatine, sand and other toy stuff. Those stages recreate perfect and happy human daily scenes like children playing in a playground or an operating room, also historical scenes, etc. 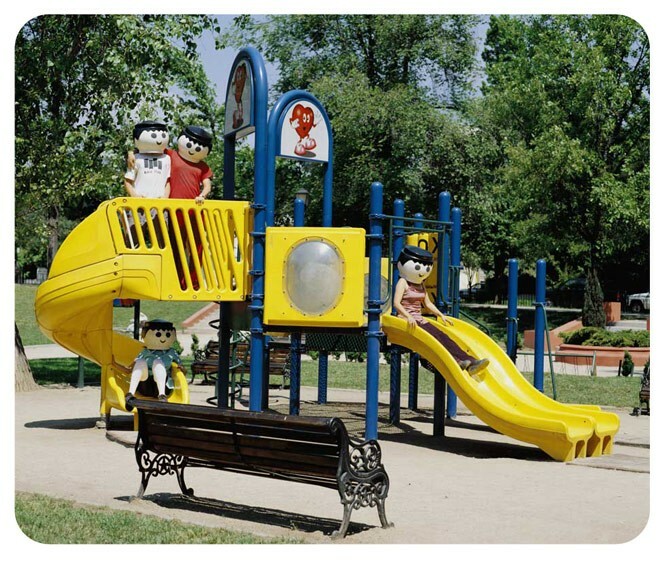 In the first project titled “Playmobil editions” I choose some places that I called locations, like the filming stages. 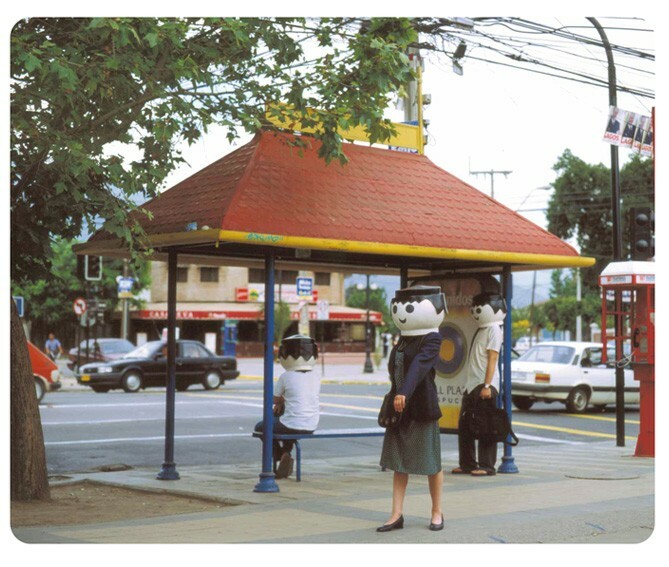 On those locations were staying models with playmobil heads only for a photo shoot. 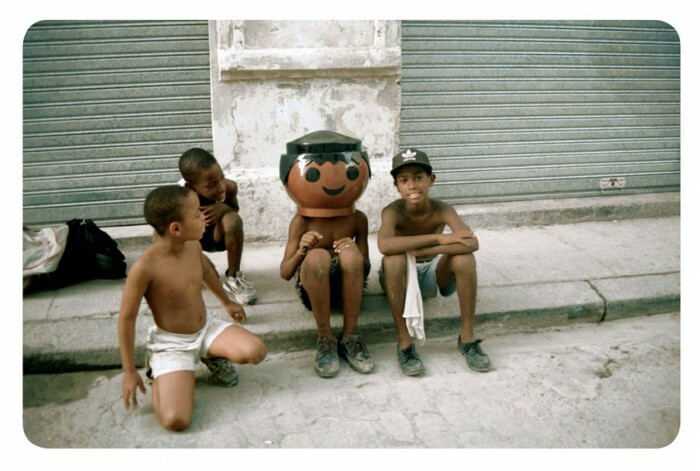 The heads were made of fiberglass, they are not masks. The different pictures of those locations were later printed in a small catalog.